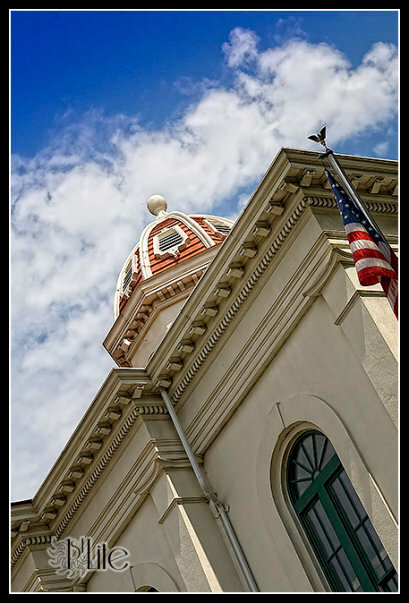 A three story, hip roof, stuccoed brick structure, the current county courthouse was completed in 1872. This building replaced an 1849 Greek Revival structure designed by William Nichols, the architect of the Old Capitol Building and the Governor’s Mansion. That building was burned in 1864 by Union soldiers. An octagonal cupola housing the town clock is a notable feature of this Beaux Arts Classical building.